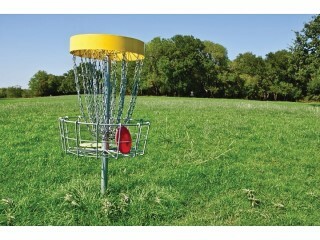 Disc golfers from all over New England will converge on the baskets at Bittersweet Ridge, located here, to compete and raise money for the Children’s Miracle Network and Barbara Bush Children’s Hospital during the 6th Annual Children's Miracle Network Disc Golf Fundraiser. The event will take place Jul 22, 2018. Norris Inc. is a Champion-Level Sponsor for the event that has raised close to $50,000 for the CMN and BBCH during its 5 years at Bittersweet Ridge. Joe Souliere is not just Norris Inc.’s Senior CAD Designer and Project Manager he’s also a disc golf champ in his own right who is participating in the CMN Disc Golf Fundraiser this year for the second time since its inception. Souliere says helping the BBCH and the CMN in this way is a no-brainer. “The event brought in about 120 people last year,” Russell said. “They were primarily from Maine, but it has drawn a small crew from New Hampshire in the past, as well.” Russell said that she had been sharing the registration information to other state disc golf Facebook pages and knew that they would do well again this year. Last year, the disc golfers who converged on Bittersweet Ridge helped to raise $7,500 and then a corporate sponsor matched it, giving $15,000 to the CMN and BBCH. Richardson said that all the money raised from past fund-raiser tournaments has helped the BBCH to implement a whole laundry list of improvements, including the new Angel Two, a dedicated pediatric critical care ambulance. Ben O’Brion is the event organizer on the disc golf side. He has worked hand-in-hand with the folks at Bittersweet Ridge over the years to be sure the event maximizes the benefits to the CMN and BBCH. Richardson said the impact of the fund raiser event couldn’t be overestimated. O’Brion said there were definite plans to keep on and to continue to help wherever they could. BBCH is the only fully accredited children’s hospital in the state and is home to some of the only pediatric specialists in the state. The BBCH sees on average about 100,000 patient visits a year and serves the eastern most counties in New Hampshire as well. The hospital’s goal is to provide the very best health care for families as close to home as possible. BBCH is located inside Maine Medical Center. The Children’s Miracle Network also has a pretty broad network of specialty and outpatient clinics throughout the state.